'Blairsden', the Clinton Ledyard Blair estate designed by Carrere & Hastings between 1898-1903 in Peapack, New Jersey. Click HERE for more on 'Blairsden'. The house remains for sale for $4,900,000, click HERE for the listing. Photos courtesy of Jim Lewis. Blaairsden ~ always one of the Best ! Thank you Jim Lewis and Zach ! It cant be said too often enough..............Simply stunning in every way possible from the location to the overall design composition, the regal interiors, perfect floor plans, majestic scale, wonderful proportions, jaw droppingly steep garden steps, the formal entry court, etc, etc.......just magnificent and at $4.9M a steal. Hopefully it finds the right buyer. In England, the drive would already be on to preserve this house for the public good as a national treasure. We are not that sort of country. I'm having a hard time picturing the person who could afford it and would want to live there. And I don't know enough about the surrounding community to have any sense of whether high-end condos might work. P.S. Zach -- You will want to snag some of the old pictures in case they disappear. Disagree. $4.9M is practically a fire sale for a home like this. One couldnt purchase the land for that price. The area of Somerset Hills, is one of Jersey's most affluent areas, horse country I believe and includes the adjacent towns of Bernardsville, Basking Ridge, Bedminster and I think Malcolm Forbes called the area home amongst many others. The school also is at a lower elevation and cannot be seen driving up Blair Rd. If an Ira Rennert or a Steven Schonfeld to name just 2 can build and maintain palatial fiefdoms then certainly a buyer is out there suitable for this home. The problem is finding one who would be interested in only restoration and not incompatible renovation or improvements. I'm unpersuaded. I know several people just in Bernardsville who could easily afford this house. They wouldn't live there at any price -- they would find it terribly embarrassing. The world has changed too much. As Dilettante said, the number of people who want to live in houses this ostentatious is vanishingly small, and it's further reduced by the location. (It's not the Hamptons, it's not LA, it's not Palm Beach, etc.) People who live in houses like this today do so because they want to show off their wealth. Well, who are you going to show off to in Peapack-Gladstone? The deer? Unfortunately, the best case scenario is probably some private health care facility. 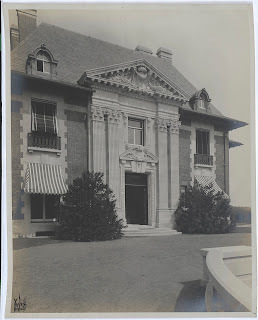 Archibuff, I mentioned earlier that given the phenomenal wealth in the area, and the land conservation-friendly nature of Somerset county, that it was terribly surprising that the group that tried to buy it a few years ago couldn't raise the money. But, I stand firm with Ancient---that mythical buyer you believe exists hasn't surfaced yet. Well Ancient I dont know where they get that mindset from, but I view it totally differently. I wouldnt be embarasssed for a second, instead I would view it as a challenge to complete the restoration work that the former owner started. It would be maintaining a nationally significant and historical landmark and that would not embarass me in the least. I might even consider opening it for special events to share the place. What it would give me is time to restore the home while I find a suitable organization or commercial enterprise that could take on the property and make it a successful enterprise, but in the meantime I would know I did my part for preservation. IT would make an ideal think tank, conference center, hotel, spa, event venue, etc, etc, but I would still own it, care for it and again embarassment would never cross my mind. Embarassment in my mind would be if I sat by and saw it bulldozed one day. Hopefully the locals will not let that happen. DED, that mythical buyer is me!! Oh by the way....Do have $4.9M to lend? Let's say you had the 4.9, how much do you think it would cost to run the estate? Also, are the stables still part of the 34 acres, or are they a private residence? have not seen these photos before; they are stunning pictures of a spectacular house. The Natirar master plan is interesting. wonder if the park was ever created. rumor has it that Richard Branson had some investment interest in creating the resort spa within the main house. blairsden is quite the mansion. If I could I would live there in a heartbeat. And the absolutely amazing story of Ledyard Blair piloting a German ocean liner, on which he was a passenger into Bar Harbor, when it was forced to turn around on the even of World War I. As in Peapack, the Blairs and the Ladds were near neighbors.. This fits nicely with my past suggestion that the late 19th century settlement patterns on Long Island were social and familial -- and only later "aspirational." Great side links unfortunately Natirar got the jump on Blairsden. The spa, rejuvenation center, club, hotel, resort, event venue seems to already be well established at Natirar and that leaves fewer options for Blairsden other than private home or institutional use. I still believe it could easily continue on as a home. Ancient, yes on both counts. 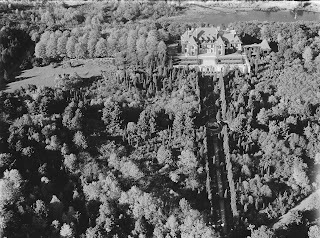 Incidentally, Archibuff, it is my understanding that although Blairsden is in better condition than ten years ago, there is still much to be done---even a quick look at the aerial photos reveals a brick wing behind the gazebo, left over from the convent era. Millions more must be spent. But DED people build homes today for 20, 30, 40, 50, 75, 90, well you get the idea, truck loads of money and here if you even put 10 more you have a showplace far exceeding any mcmansion built lately. I dont dismiss the location, it is one of the best in NJ and within NYC commuting range. For a person who has made millions and who loves architecture and preservation, this is a dream project. People talk preservation all day long and sit back and watch bulldozers knock down the neighborhood landmark and say if only someone did something. There are way too many of those "preservationists" out there. You need wonderful owners like Gary Mileus with Oheka on LI and Ann Johnson with Carolands in California. Both buildings were severely vandalized and moments away from the bulldozer. Blairsden is not. It can be done. Both places actually make money hosting events, etc. I never say never. It takes someone who puts their money where their mouth and heart is. TDED, I concur with the comment regarding its condition and the considerable amount of work still yet to be done. Read millions and with it increased taxes as the added benefit for improvements - lovely! To some degree as well the property has such curiosity factor out there it would be a continual trespassing nightmare. Dozens of sites play up a faux eerie background as to draw considerable unwanted attention I doubt would abate. When the nuns listed this property a decade ago it was remarked that it needed a new roof and that alone was approaching 7-figures. 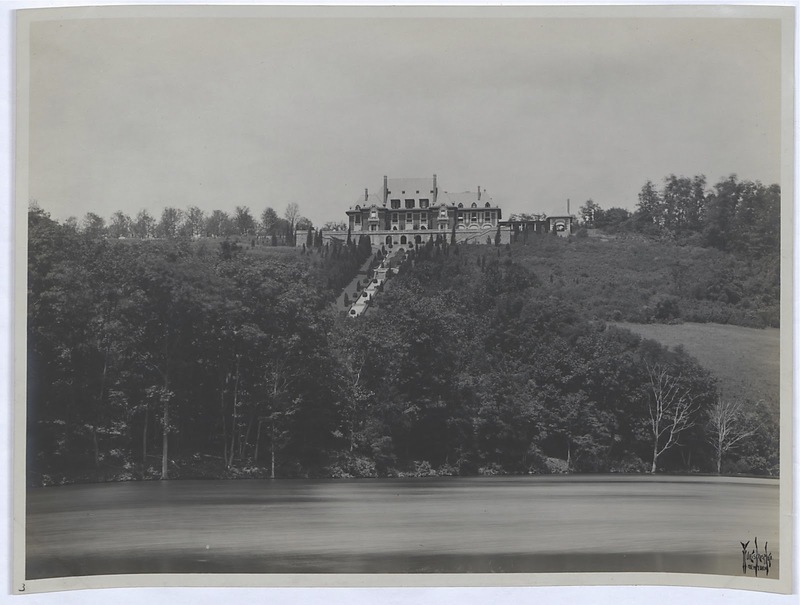 In 2002, the Sisters sold the estate to Foundation for Classical Architecture for $4.5 million. The listing agent said [the owners] put a great deal of work into the grounds and had progressed to the mansion, particularly the first floor. With those types of cautious remarks you can be assured that a lot of heavy lifting still is to be done. As it is gem none the less. Let's all pitch in and buy it! The place is an absolute steal!! I love Blairsden, and I absolutely love Peapack-Gladstone area. Does anyone here know why the asking price is so, er..., cheap? Closing date was Sep 24, 2012 for a purported $4.5M. Buyer unknown at this time but the listing agent indicated restoration would continue.